It was pretty awesome! For Christmas 2011, my sister hunted down this gem for me. I must commend her ability to find cool figs cheap because I was aiming at his 80 dollar brother on Ebay, whilst she picked him for 30 from Amazon! 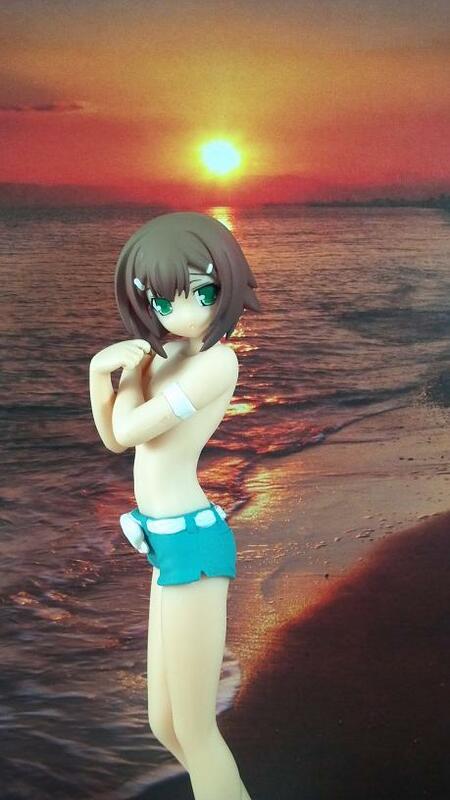 I have been searching for a bishonen figure to grace my beach shelf for quite some time, and this one is a perfect addition. You don’t get much more bishonen than Hideyoshi Kinoshita! His expression seems to be along the lines of surprised or concerned. He hides his bare chest behind his arms, as if he wants no one to look at him. The sculpt of his hair is decent. It even seems to have little layers underneath the back. His hairclips are painted on crisply, and stand out well from his hair itself. His chest, and belly are also sculpted well, even if he doesn’t want you to notice. I absolutely adore his little belly button. Here we can see his girly little shorts. Nice choice for the trap of Baka & Test! Again we have no smudged paint, and a nice crisp white belt. From the back view this figure really looks just as cool. His shoulders are tense, and slightly hunched, showing his embarrassment. You can really see the tension. His shorts are just as cute from the back, and still no smudges! His legs are amazing as well. From every single angle this figure screams of insecurity. 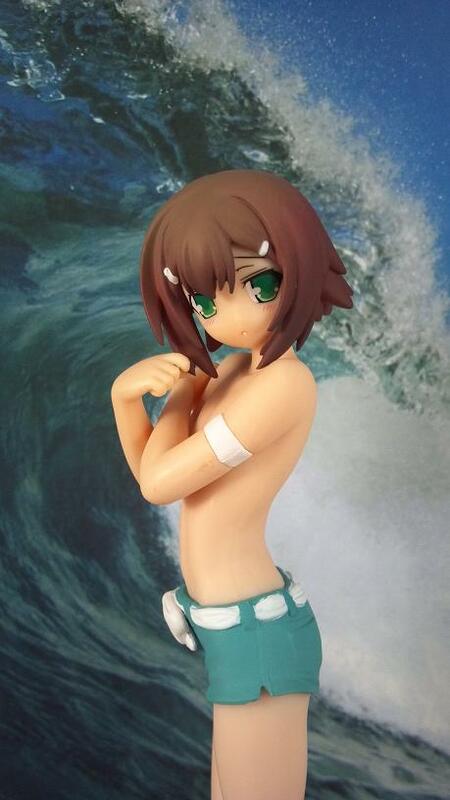 Very rarely can you feel the character’s actual feeling from a figure. More often than not you have cute girl in cute generic pose. They are cute, and flouncy, but rather emotionless. Here we have the front of his legs, and his tiny tank top. I must say I am quite curious how it got off, and at his feet. I am not a big fan of the base, it is rather boring, but it does its job. At first glimpse of this figure on myfigurecollection.net, I thought that I really wanted this figure. 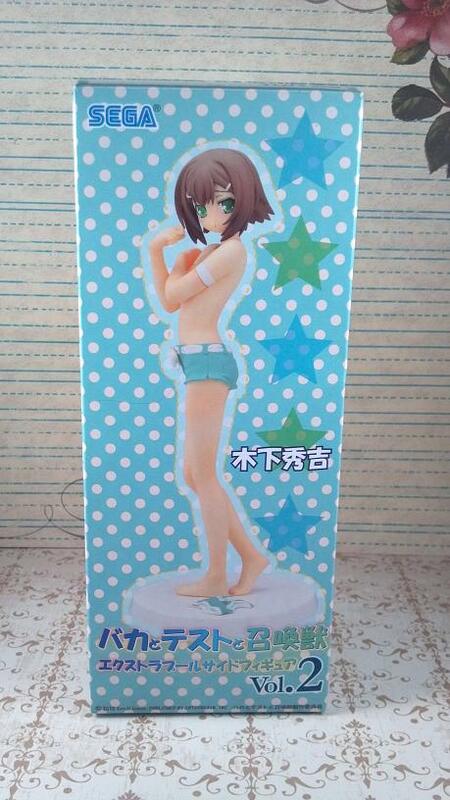 I had some issues with the face on the promo picture, but after viewing Hideyoshi on hand I feel that 80 dollars on Ebay would have been just fine. His box is very standard and boring. If I have any complaints about this offering from Sega, it is the lackluster windowless box. 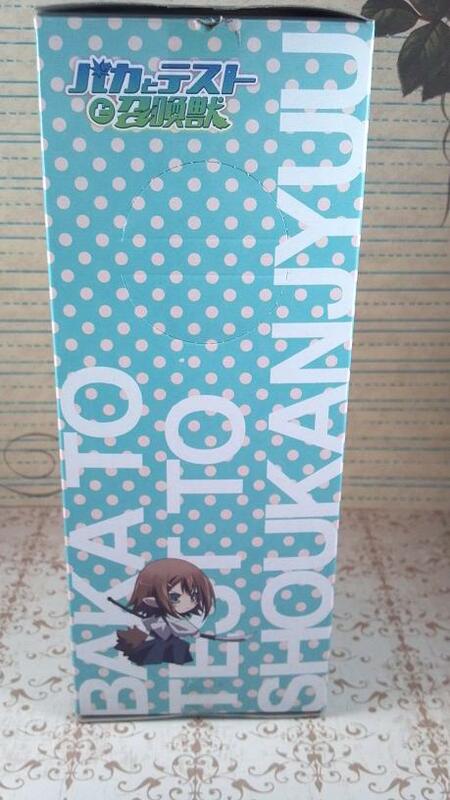 There is a cute chibi on each side. That’s gotta count for something, not much, but something! 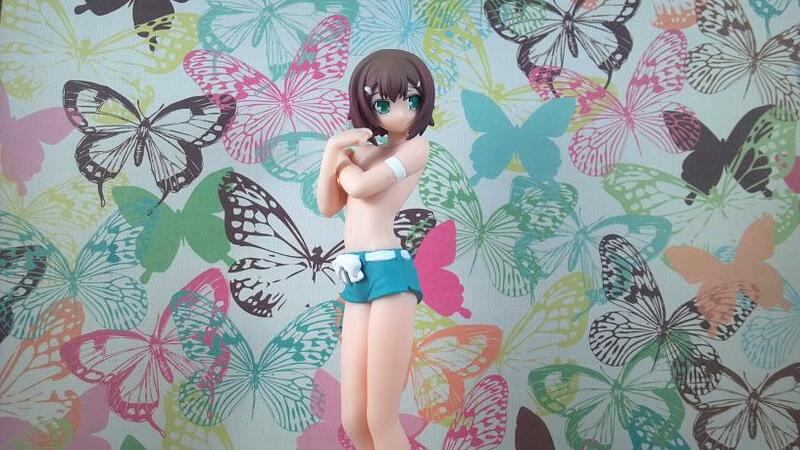 This figure is a lot of fun, and I highly recommend for any fan of Hideyoshi, Baka & Test, or bishonen in general! 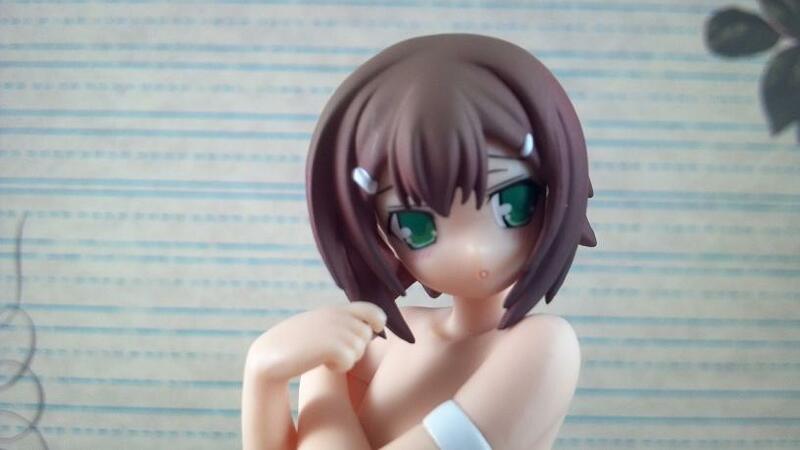 This entry was posted in Anime Figures, Prize Figure and tagged Baka To Test, brown hair, green eyes, Hideyoshi Kinoshita, sega. Bookmark the permalink.